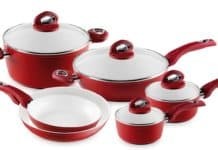 Dutch ovens have been around since 1704 when an Englishman named Andrew Darby patented the first cast-iron model based on what he’d observed from the Dutch way of cooking. He used those original vessels to feed Britain and the early American colonies. Now, homeowners around the world use them to feed their hungry broods. 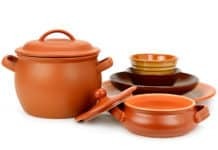 Chances are, you have one of these heavy pots taking up residence in your own kitchen. 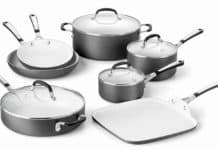 While you know they’re great for braising meat and making hearty stews, that’s only scraping the surface of their potential. 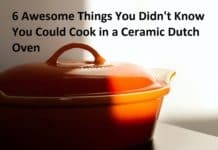 Today, we’re diving into six other meals you can create with your ceramic Dutch oven, shedding light on why it may be the most valuable, versatile player in your cooking arsenal. Ready to learn more? Let’s fire it up! Does the idea of slicing into a thick slab of homemade sourdough give you heart eyes? While it’s a feat that most home chefs aspire to, it’s not without its challenges. What if it doesn’t rise? What if it comes out hard as a brick? What if it tastes like cardboard? For all the time and effort you put into the process, it’s disheartening to find anything less than perfection when it’s time for the big reveal. The good news? You can make a gorgeous, delicious loaf in your Dutch oven! Preheat it in the oven to get it nice and hot. Then, take it out, turn off the heat, place your dough inside and put the lid on. The steam that generates is enough to cook the bread, resulting in a brown, flaky crust that is the stuff of dreams. Want step-by-step instructions? You can find the full recipe here. This is one of the simplest enameled cast iron Dutch oven recipes around and it’s always a crowd-pleaser. To make it, press raw cookie dough onto the bottom of your Dutch oven. Then, bake it in the oven until it’s nice and golden! Add a few scoops of vanilla ice cream on top, grab a few spoons and invite your favorite people to dig in! Another bane of the everyday chef is getting chicken exactly right. As raw meat can pose a host of health risks, it’s important to cook it all the way through. 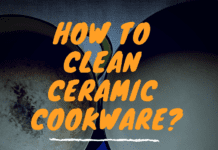 The difficulty lies in doing so without turning it dry, chewy and tough. 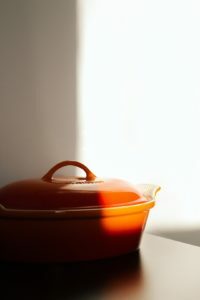 Place it on your stovetop and fill it with chicken stock, wine, your favorite vegetables, and a sprig or two of thyme. Bring the mixture to a boil and add in your raw chicken breasts. Add enough liquid to cover the chicken and crank up the heat. Once it boils again, turn the heat off and let the mixture simmer with the lid on. After about 30 minutes, you’ll have tender, juicy poached breasts that are ideal for shredding into your favorite recipes or eating on the spot. Get all the details, including a full ingredient list, with this run-down. No, you don’t have to stand over a pan of shallow grease all afternoon, dodging spills and splatters as you place your chicken legs in the bubbling oil. The tall, thick walls of your Dutch oven make it an ideal tool for your go-to Sunday lunch recipe: fried chicken. Season your raw chicken pieces with your favorite spices, then coat them in buttermilk. Allow them to soak overnight, then dredge them in a seasoned flour mixture. Shake off any excess, then add them to a Dutch oven full of peanut oil that’s reached 350 degrees Fahrenheit. Cook on one side for 10 minutes, then flip and cook the other side for another 10-15 minutes. Remove the pieces with a slotted spoon and set them aside to dry. Voila! As much flavor as your grandma’s recipe with a fraction of the mess. Nothing screams “weeknight dinner” like a one-pot meal. The minimal cleanup alone is enough to add this pasta dish to your rotation. Start by browning one pound of ground beef (or your favorite meat) in the bottom of the pot, along with one diced onion. Cook over medium heat until browned, and drain the grease. Add a little minced garlic to the mixture along with one can of tomato sauce, one can of undrained tomatoes and about three cups of water. Add in seasonings to taste, then bring the mixture to a boil over medium heat. Once it begins to boil, break your spaghetti noodles in half and add them to the liquid. Stir to coat them and allow them to cook for around 12 minutes. Sprinkle with parmesan cheese and Tuesday night just got a lot more scrumptious. Sure, you can reach for a can of black or pinto beans the next time you’re at the supermarket. However, for more flavor and fewer health risks, it’s wise to create your own cooked version. 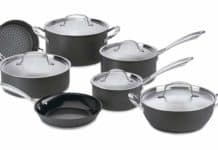 A Dutch oven takes care of the work for you, making this choice a no-brainer. Start with a pound of dry beans. Soak them overnight in a few inches of cool water. 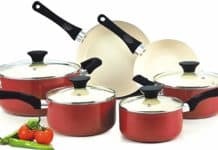 This helps get rid of any bitterness and also allows them to cook more evenly. When you wake up, drain them and notice how plump they’ve gotten! Rinse the beans, then transfer them to your Dutch oven. For extra flavor, throw in a bay leaf, along with a whole garlic clove or two, half an onion and some chopped carrots. Add enough water to cover the beans by an inch or so. Bring them to a boil, then reduce the heat and simmer. If you’re aiming for firmer beans to use in salads, leave the lid off. Otherwise, put it back in a little jar to let a little steam out. After about two hours, you’ll have creamy beans that are ready to use in your favorite recipes! 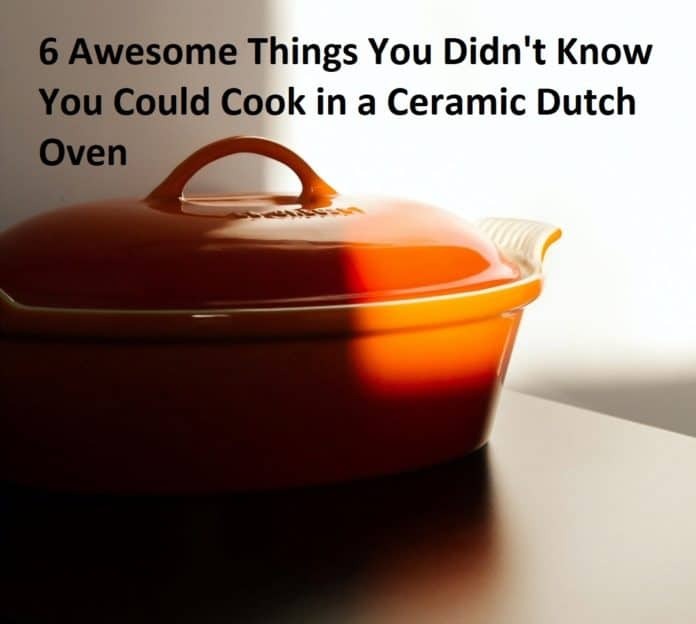 Now that you know all the unexpected ways you can use a ceramic Dutch oven, are you ready to get one for yourself? 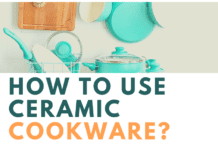 You might use some kitchen utensils one time and then decide they aren’t worth the space they take up. This isn’t one of them. Rather, your Dutch oven is an investment that can last you a lifetime if you maintain it. When you’re ready to take the leap and snag one for yourself, we’d love to help. 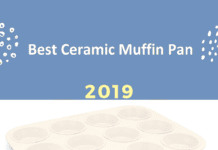 We’ve done the homework for you, reviewing all kinds of ceramic utensils from ovens to muffin pans. 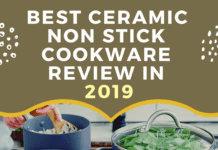 Check out our guide to the best ceramic non-stick cookware of 2019 to get started and wow your family with these new flavors today!